We’re living in a time where new health concerns are issued pretty much every week. It’s no wonder that for some people, it’s gotten to the point where they no longer care. But for those of us who still do, the amount of things we can’t do or things we have to do as well as things we must avoid or things we can’t live without can be overwhelming. It’s only fair that people look for an easier way to do things, and we can try to help you with that! 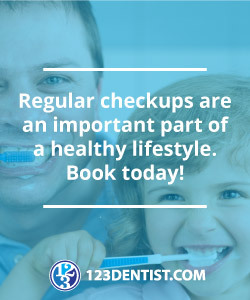 We’ll give you a rundown of a few habits and routines that deal with your oral health so you can focus on everything else you have to worry about. Brush twice a day, and make sure to floss. If you’ve been to the dentist at any point in your life, you’re likely to be the type of person who brushes in the morning and just before bed, which is great. Flossing however, is extremely important. The gaps in between your teeth not only offer the perfect place for food to lodge, literally, but also offer some protection against brushing. Nothing can stop floss from kicking the food out and keeping your teeth free and clean. One of the biggest benefits to your oral health and by far one of the easiest, is simply rinsing with mouthwash. Brushing was once considered top of the line in terms of keeping germs and plaque at bay, and while that’s still true for all the parts of your teeth that you can see, it’s the spaces in between that you should be concerned about. Flossing is great for getting anything that shouldn’t be there out. But it can’t give the same amount of cleaning a toothbrush can provide. Your toothbrush will only scrub 3 out of 5 sides of your teeth. You wouldn’t just wash the doors and roof of your car, so don’t treat your teeth the same way. Mouthwash is great for killing any germs that lie in between the teeth. Combined with flossing, germs stand no chance. To maintain a healthy and happy mouth, visit Affinity Dental Clinic to set an appointment today!